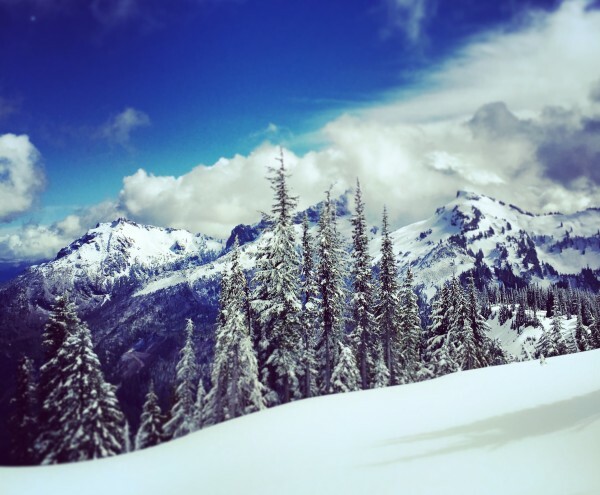 To put the Eddie Bauer Kara Koram 0° Stormdown Sleeping Bag to the test, I took it on three snow camping trips up at Mount Rainier this winter. Sleeping outside and in snow caves, the Kara Koram kept me warm and dry during 14° nights, while exposed to light snow and under condensation. 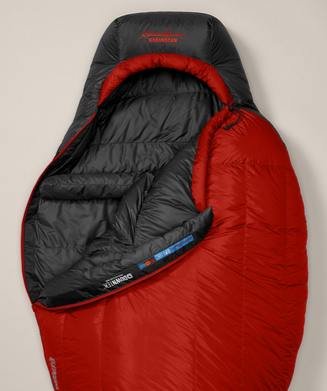 The classic dilemma in choosing a sleeping bag for cold weather trips lies in the warmth versus water resistance versus packability relationship. 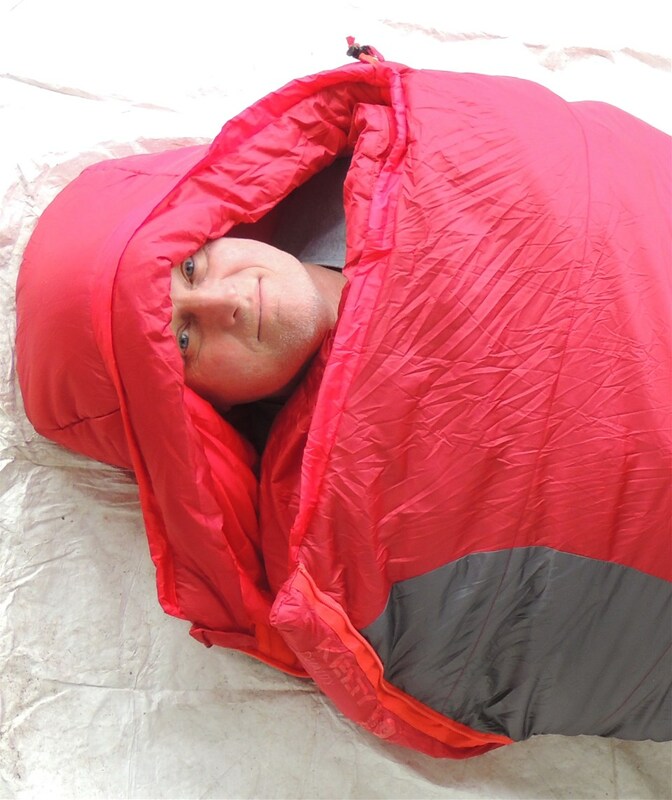 Down sleeping bags maintain excellent warmth and pack down incredibly small, but completely fail when wet. 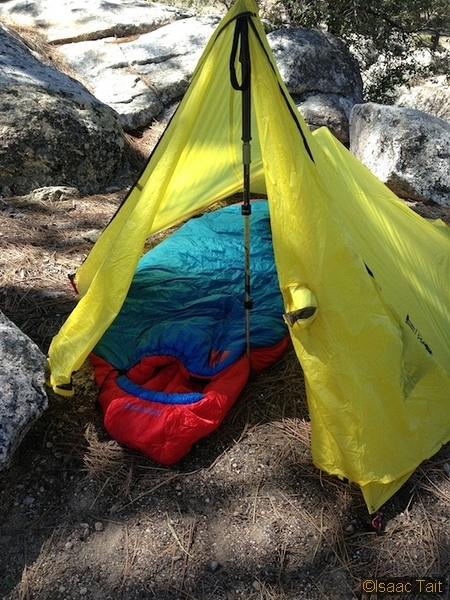 Synthetic sleeping bags can fight off wet conditions and keep you warm, but you pay a major price in packability. Now, the recent innovation of hydrophobic down is taking the industry by storm and changing the way we think about down gear in regards to its relationship with water. 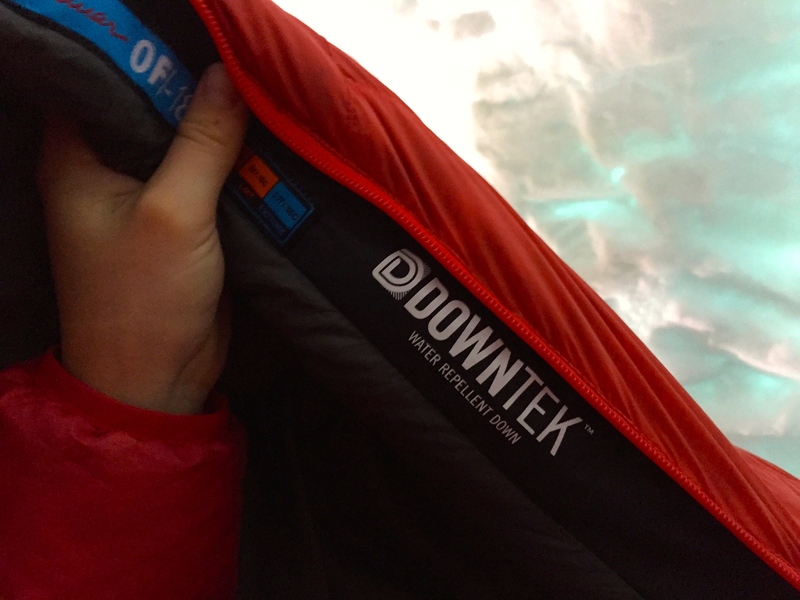 The Kara Koram is made with 850 fill StormDown made by DownTek, which means the down clusters inside the bag are hydrophobic, making them water-repellent and able to stay lofted and performing even after exposed to moisture. 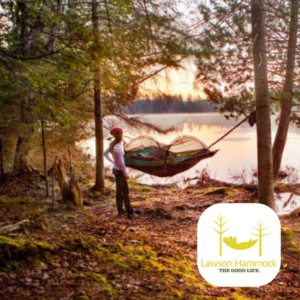 This allows you to have the body-responsive warmth of down, the packability of down (the bag packs down to approximately volleyball-size) and the water repellency of a synthetic bag. To increase the water-repellent performance of the Kara Koram, the bag is also designed with an abrasion resistant Pertex nylon shell with StormRepel DWR finish. Under light snow fall and condensation from the roof of our snow cave, the Kara Koram’s shell successfully bedded out moisture – nothing soaked into the fabric. Even with the bag’s edges touching snow on the ground and sides of the snow cave, the Kara Koram stayed completely dry until morning. The first thing I noticed out of the package was how well-made the bag felt. The fabric is tough, but exceptionally soft against the skin. I tend to be a backpacker that abuses their gear over time, and I couldn’t the Kara Koram’s shell to puncture or tear. 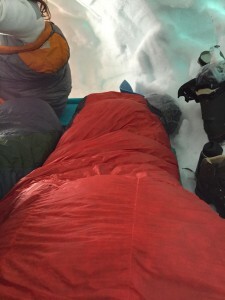 During my time up on Mount Rainier, the Kara Koram afforded me the warmth to enjoy a full night’s worth of sleep. I especially appreciated that the bag’s hood cinched down easily and comfortably to tight around my face or just around my nose and mouth. 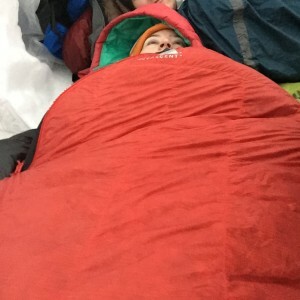 Once I got warm in the bag, the down regulated my heat effectively so that I didn’t get over-heated while I was sleeping. The one issue I found with the Kara Koram is specific to my particular size. As a petite woman, the bag is longer and wider than I need it to be. Initially, I found that the extra space left in the bag created cold spots. By stuffing my extra layers into the bag with me while I slept, I was able to eliminate the cold spots and sleep comfortably. Of course, if you were a broad shouldered, average height male, the bag would make a much better initial fit. In the future, I hope that Eddie Bauer comes out with a women’s specific version of the Kara Koram. 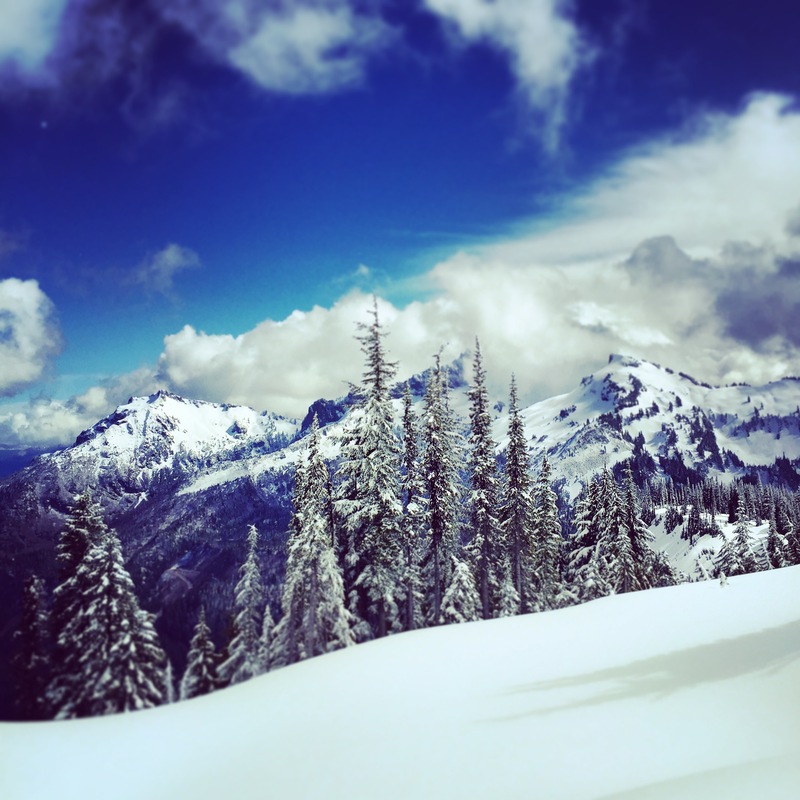 In the mountains, being warm and dry is what counts and the Kara Koram delivers. 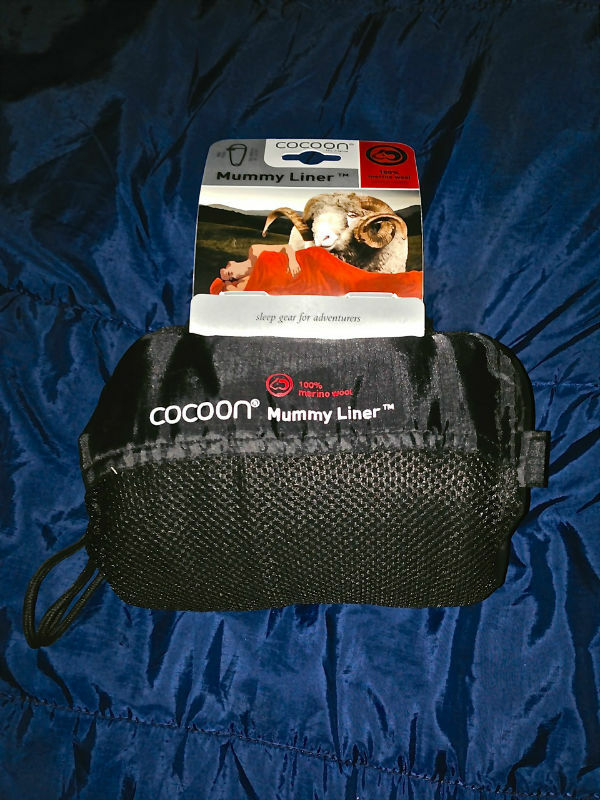 The fact that it’s also a super comfortable bag that packs down small just sweetens the deal.